Eat local. Buy organic. Avoid GMO. Give back. Be of service. These are all great practices. Good for your health. Good for humanity. And good for the planet. The health and environmental problems we currently face are global epidemics of unprecedented scope and scale. We simply cannot solve these issues with the mindset that created them. What we need, now more than ever, is a revolution of consciousness. There are few people more well suited for this conversation than David Bronner. By far the most unique ‘CEO’ I have ever met, this week’s guest is the Cosmic Engagement Officer of Dr. Bronner’s Magic Soaps, the top-selling brand of natural soaps in North America and producer of a range of organic body care and food products. The Dr. Bronner story, which is amazing, begins in 1948 with Emanuel Bronner — a German immigrant, third-generation master soapmaker, master consciousness and generally far out dude — who used his ecological soaps to proselytize his “All One” philosophy, labeling product bottles with the key tenets of his teachings on self-realization and unity across religious and ethnic divides. Embraced by 1960’s counterculture for its ecological properties and spiritual sensibility, the brand soon found it’s way into most natural foods markets across the United States. David and his brother Michael eventually took stewardship of the family business, shepherding their grandfather’s brand from counterculture cult status to mainstream embrace by growing revenues from $4 million in 1998 to over $111 million in 2017. Along the way, David went to great lengths to respect, protect and ultimately deepen Emanuel’s vision, cultivating a thriving and truly conscious capitalistic enterprise making socially & environmentally responsible products while successfully pursuing its broader mission to create a better world for ourselves and future generations. Environmental activist. Psychonaut. Visionary.These are but a few of the words that describe David, a man who very much shares his grandfather’s ‘cosmic hippie’ DNA but matches it with entrepreneurial flair, a degree from Harvard and the business savvy necessary to grow and sustain an ongoing concern at scale. 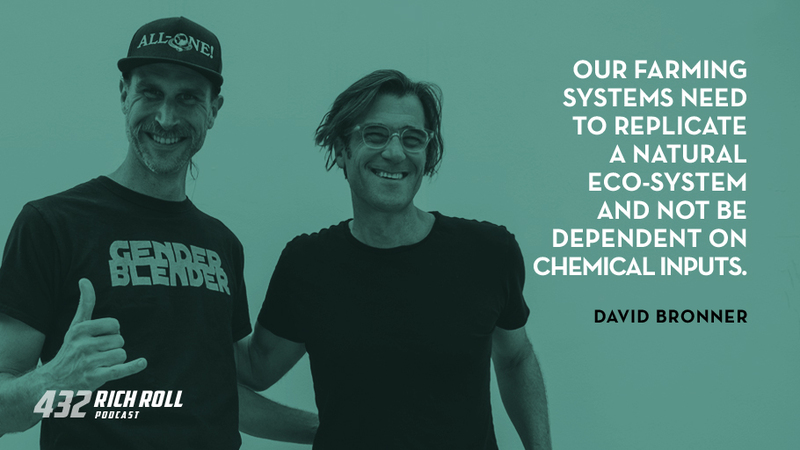 Under David’s stewardship, Dr. Bronner’s has championed a number of causes, many of which provide the foundation for today’s conversation — a free range exchange that explores David’s involvement in advancing animal rights, drug policy reform, GMO regulation, regenerative organic agricultural practices, fair trade projects and practices, medicinal applications for cannabis and psychedelics, as well as wage equality, including self-imposed caps on executive pay. Backing up its mission statement, roughly a third of Dr. Bronner’s profits are dedicated to charitable giving and activist causes annually. Furthermore, the company is a founding partner in the Climate Collaborative, which leverages the power of the Natural Products Industry to compel action on climate change. This is David’s story. And it’s sure to blow your mind. Disclaimer #1: David expounds upon his personal experience with with psychedelics and cannabis in the context of spiritual growth. As someone who has been in recovery for substance abuse for the last twenty years, I am not endorsing his methods. His experience is his own. Take to heart only what resonates with you. Disclaimer #2: This is not a branded podcast. I have no financial relationship with Dr. Bronner’s and was not paid to host David (to be clear, I have never accepted money to host a guest, and never will). I am simply a fan of the Dr. Bronner ethos and products, have followed David’s journey with admiration for some time and have always wanted to have this conversation. For those visually inclined, you can watch our conversation on YouTube at: bit.ly/davidbronner432 or listen in on Apple Podcasts or Spotify. And finally, check out Journey to Pavitramenthe, an amazing just released 8-minute documentary produced by David’s team that tells the story of the farming communities in Bareilly, India that supply the organic mint oil used in Dr. Bronner’s iconic peppermint soap. It beautifully embodies all the themes discussed today. I love this conversation. I sincerely hope you do too. Quip: Your one stop solution for oral health! Buy a quip toothbrush from $25 and get up to $5 off your first refill pack by visiting getquip.com/RICHROLL and using promo code “RICHROLL” during checkout. Ten Thousand: The World’s Most Durable Training Shorts. Built for Your Needs. Designed for Performance. Every order gets FREE shipping, FREE exchanges and FREE returns. Save 20% OFF your first purchase at tenthousand.cc with promo code “RICHROLL”. Check out “Journey to Pavitramenthe – Dr. Bronner’s Fair Trade and Organic Mint Oil from India” on YouTube! Make Your Own Zone: What’s Up With The Weird Label On Dr. Bronner’s Soaps? Thanks to Jason Camiolo for audio engineering, production, interstitial music and show notes. Video, editing by Blake Curtis and Margo Lubin. Graphics by Jessica Miranda.Theme music by Ana Leimma. 1000s of delicious, customized plant-based recipes & so much more. 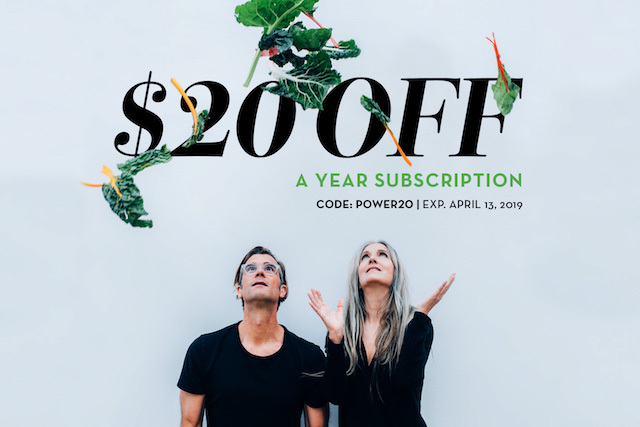 Save $20 on a membership by using code POWER20 at checkout through April 13, 2019!